TurboTax gives you ten tax saving tips for the new year. Find strategies to lower taxes, save money when preparing your tax return, and avoid tax penalties. If you think your tax bill is chiseled in stone at the end of the year, think again. Though it’s true that most money-saving options to defer income or accelerate deductions become much more limited after December 31, there is still a lot you can do to make the tax-filing season cheaper and easier. If you haven’t already funded your retirement account for 2018, do so by April 15, 2019. That’s the deadline for contributions to a traditional IRA, deductible or not, and to a Roth IRA. However, if you have a Keogh or SEP and you get a filing extension to October 15, 2019, you can wait until then to put 2018 contributions into those accounts. To start tax-free compounding as quickly as possible, however, don’t dawdle in making contributions. Making a deductible contribution will help you lower your tax bill this year. Plus, your contributions will compound tax-deferred. It’s hard to find a better deal. If you put away $5,000 a year for 20 years in an investment with an average annual 8 percent return, your $100,000 in contributions will grow to $247,000. The same investment in a taxable account would grow to only about $194,000 if you’re in the 25 percent federal tax bracket (and even less if you live in a state with a state income tax to bite into your return). if you are eligible, you must have adjusted gross income of $63,000 or less for singles, or $101,000 or less for married couples filing jointly. If you are not eligible for a company plan but your spouse is, your traditional IRA contribution is fully-deductible as long as your combined gross income does not exceed $189,000. For 2018, the maximum IRA contribution you can make is $5,500 ($6,500 if you are age 50 or older by the end of the year). For self-employed persons, the maximum annual addition to SEPs and Keoghs for 2018 is $55,000. Although choosing to contribute to a Roth IRA instead of a traditional IRA will not cut your 2018 tax bill—Roth contributions are not deductible—it could be the better choice because all withdrawals from a Roth can be tax-free in retirement. Withdrawals from a traditional IRA are fully taxable in retirement. To contribute the full $5,500 ($6,500 if you are age 50 or older by the end of 2018) to a Roth IRA, you must earn $120,000 or less a year if you are single or $189,000 if you’re married and file a joint return. The amount you save for making a contribution will vary. If you are in the 25 percent tax bracket and make a deductible IRA contribution of $5,500, you will save $1,375 in taxes the first year. Over time, future contributions will save you thousands, depending on your contribution, income tax bracket, and the number of years you keep the money invested. How could that happen? Withholding on your paycheck may be out of whack, or you may have received a big gain from selling stock. According to IRS rules, you must pay 100% of last year’s tax liability or 90% of this year’s tax or you will owe an underpayment penalty. If your adjusted gross income for 2017 was more than $150,000, you have to pay more than 110 percent of your 2017 tax liability to be protected from a tax year 2018 underpayment penalty. If your tax payments were a bit light, you may be stuck. If you make an estimated payment by January 15, though, you can erase any penalty for the fourth quarter, but you still will owe a penalty for earlier quarters if you did not send in any estimated payments back then. But if your income windfall arrived after August 31, 2018, you can file Form 2210: Underpayment of Estimated Tax to annualize your estimated tax liability, and possibly reduce any extra charges. A note of caution: Try not to pay too much. It’s better to owe the government a little rather than to expect a refund. Remember, the IRS doesn’t give you a dime of interest when it borrows your money. Good organization may not cut your taxes. But there are other rewards, and some of them are financial. For many, the biggest hassle at tax time is getting all of the documentation together. This includes last year’s tax return, this year’s W-2s and 1099s, receipts and so on. Print out a tax checklist to help you gather all the tax documents you’ll need to complete your tax return. Keep all the information that comes in the mail in January, such as W-2s, 1099s and mortgage interest statements. Be careful not to throw out any tax-related documents, even if they don’t look very important. Collect receipts and information that you have piled up during the year. Group similar documents together, putting them in different file folders if there are enough papers. Make sure you know the price you paid for any stocks or funds you have sold. If you don’t, call your broker before you start to prepare your tax return. Know the details on income from rental properties. Don’t assume that your tax-free municipal bonds are completely free of taxes. Having this type of information at your fingertips will save you another trip through your files. You won’t find all of them at the post office and library. Instead, you can go right to the source online. View and download a large catalog of forms and publications at the Internal Revenue Service Web site or have them sent to you by mail. You can search for documents as far back as 1980 by number or by date. The IRS also will refer you to a private Web site that lists state government sites where you can pick up state forms and publications. By the way, TurboTax already includes all the tax forms you need, which takes the hassle out of deciding which forms to use. Just answer simple, plain-English questions, and TurboTax fills out all the right forms for you. It’s easier to take the standard deduction, but you may save a bundle if you itemize, especially if you are self-employed, own a home or live in a high-tax area. It’s worth the bother when your qualified expenses add up to more than the 2018 standard deduction of $12,000 for singles and $24,000 for married couples filing jointly. Many deductions are well known, such as those for mortgage interest and charitable donations. You can also deduct the portion of medical expenses that exceed 7.5% percent of your adjusted gross income for 2017 and 2018. Beginning Jan. 1, 2019, all taxpayers may deduct only the amount of the total unreimbursed allowable medical care expenses for the year that exceeds 10% of your adjusted gross income. 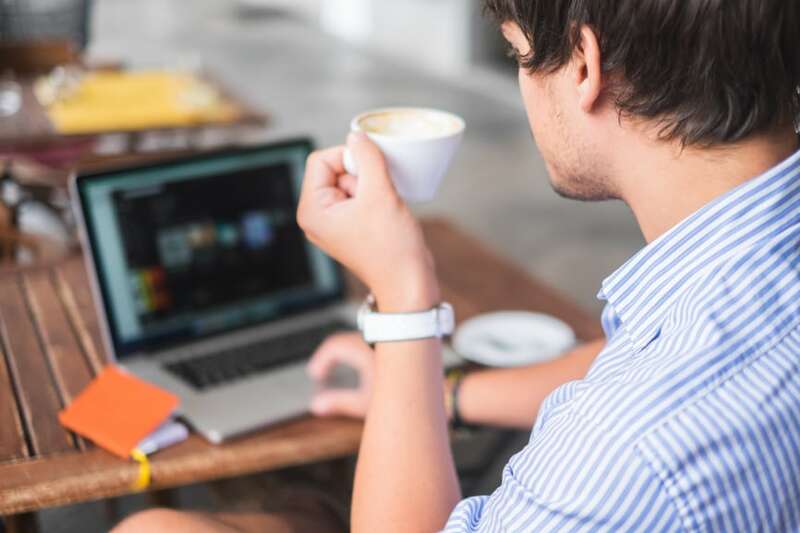 The eligibility rules for claiming a home office deduction have been loosened to allow more self-employed filers to claim this break. People who have no fixed location for their businesses can claim a home office deduction if they use the space for administrative or management activities, even if they don’t meet clients there. Doctors, for example, who consult at various hospitals, or plumbers who make house calls, can now qualify. As always, you must use the space exclusively for business. Many taxpayers have avoided the home office tax deduction because it has been regarded as a red flag for an audit. If you legitimately qualify for the deduction, however, there should be no problem. You are entitled to write off expenses that are associated with the portion of your home where you exclusively conduct business (such as rent, utilities, insurance and housekeeping). The percentage of these costs that is deductible is based on the square footage of the office to the total area of the house. A middle-class taxpayer who uses a home office and pays $1,000 a month for a two-bedroom apartment and uses one bedroom exclusively as a home office can easily save $1,000 in taxes a year. People in higher tax brackets with greater expenses can save even more. One home office trap that used to scare away some taxpayers has been eliminated. In the past, if you used 10% of your home for a home office, for example, 10% of the profit when you sold did not qualify as tax-free under the rules that let homeowners treat up to $250,000 of profit as tax-free income ($500,000 for married couples filing joint returns). Be sure to plug in Taxpayer Identification Numbers (usually Social Security Numbers) for your children and other dependents on your return. Otherwise, the IRS will deny any dependent credits that you might be due. Be especially careful if you are divorced. Only one of you can claim your children as dependents, and the IRS has been checking closely lately to make sure spouses aren’t both using their children as a deduction. If you forget to include a Social Security number for a child, or if you and your ex-spouse both claim the same child, it’s highly likely that the processing of your return (and any refund you’re expecting) will come to a screeching halt while the IRS contacts you to straighten things out. The $2,000 child tax credit begins to phase out at $400,000 for married couples filing jointly and at $200,000 for heads of households. After you have a baby, be sure to file for your child's Social Security card right away so you have the number ready at tax time. Many hospitals will do this automatically for you. If you don’t have the number you need by the tax filing deadline, the IRS says you should file for an extension rather than sending in a return without a required Social Security number. If you can’t finish your return on time, make sure you file Form 4868 by April 15, 2019. Form 4868 gives you a six-month extension of the filing deadline until October 15, 2019. On the form, you need to make a reasonable estimate of your tax liability for 2018 and pay any balance due with your request. Electronic filing works best if you expect a tax refund. Because the IRS processes electronic returns faster than paper ones, you can expect to get your refund three to six weeks earlier. If you have all your documents in order, go ahead and file electronically in January using software like one of the TurboTax programs. If you have your refund deposited directly into your bank account or IRA, the waiting time is even less. There are other advantages to e-filing besides a fast refund. The IRS checks your return to make sure that it is complete, which increases your chances of filing an accurate return. Less than one percent of electronic returns have errors, compared with 20 percent of paper returns. The IRS also acknowledges that it received your return, a courtesy you don’t get even if you send your paper return by certified mail. That helps you protect yourself from the interest and penalties that accrue if your paper return gets lost. Plus, federal e-filing is now included at no additional charge with all TurboTax federal products. TurboTax can handle the most complex returns with ease (and allow you to file your taxes electronically for a faster refund). You just need to answer simple questions, such as whether you've had a baby, bought a home or had some other life-changing event in the past year. TurboTax will then fill out all the right forms for you. However, if you still feel uncomfortable doing your taxes on your own, TurboTax offers some economical additional services you can purchase when preparing your return. You can talk to a tax professional by phone to get your questions answered, or purchase Audit Defense coverage so that you are professionally represented in the event of an audit. If you are concerned about preparing your own return, these services will give you added confidence and peace of mind.